Thor Hushovd took up cycling at the age of ten and promptly went on to win every single race in his first season. The Norwegian shot to prominence in 1998, winning the U23 World Time Trial Championships. 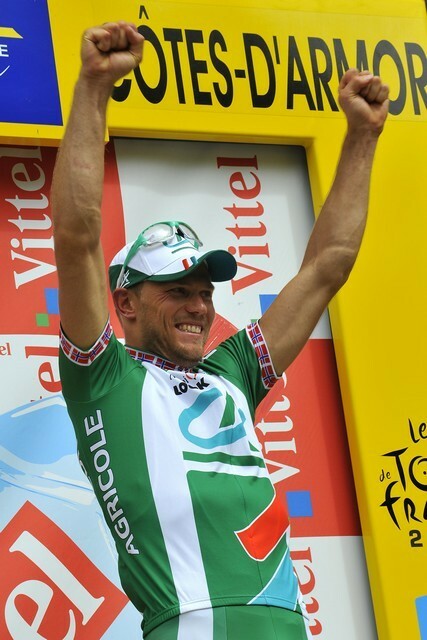 Hushovd turned professional with the Crédit Agricole squad in 2000 and soon made a name for himself, winning the Tour de Normandie and forming part of the stage-winning team time trial squad at the 2001 Tour de France, only his second year as a professional. Finding his feet as a sprinter, he took individual stage wins in the Tour de France and the Dauphiné Libéré from an early stage in his career. He was also noted in the early part of his racing career for his overconfidence, although some would say this is a prerequisite for any budding bunch sprinter. Despite taking prestigious stage victories across the Continent, the Classics still remained an ambition; this ambition was realised when Hushovd won Ghent-Wevelgem in 2006. He is ideally suited to races like Paris-Roubaix and the Tour of Flanders but his full potential has yet to be revealed, partly because he has never been part of a strong Classics squad. 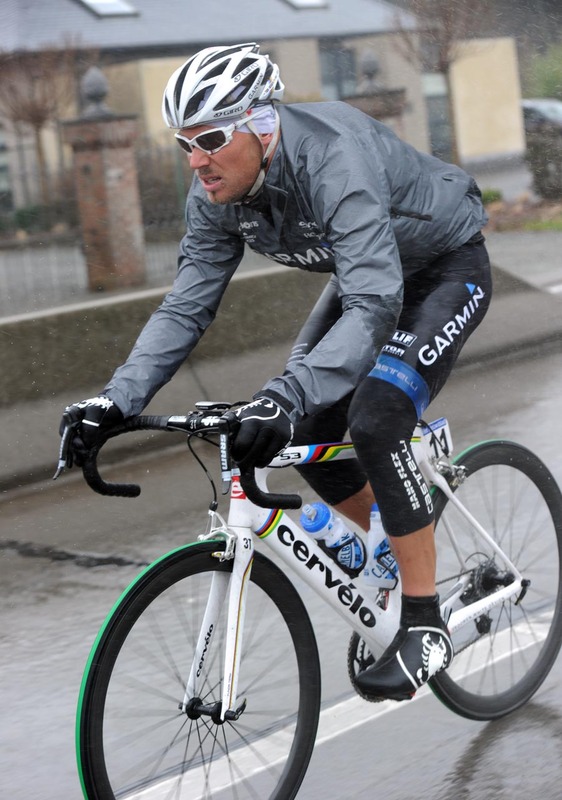 Joining the Cervélo Test Team alongside Classics riders like Andreas Klier and Roger Hammond for the 2009 season was one of the reasons for this. After winning the 2010 World Championship road race, Hushovd signed to Garmin-Cervelo for 2011 and announced his intention to focus on classics rather than chase the green points jersey at the Tour de France. 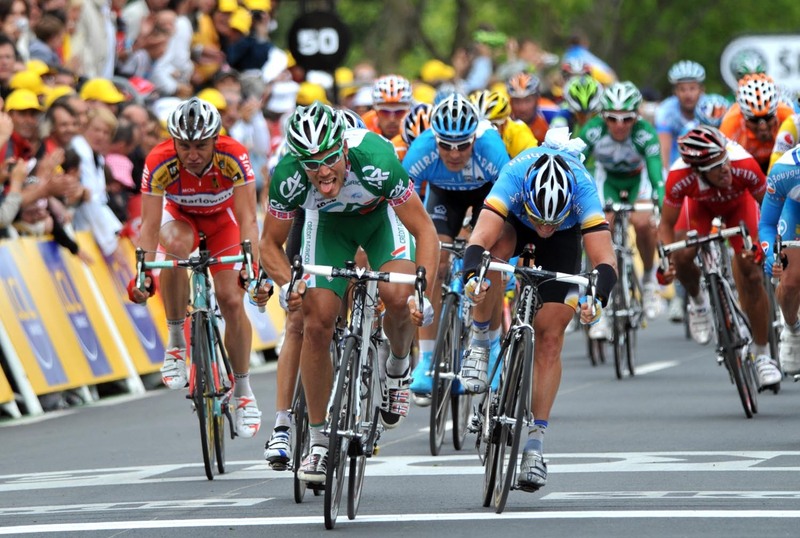 However, having come away from the 2011 classics empy-handed, Hushovd went on to excel in the Tour. He wore the yellow jersey in the opening week after Garmin-Cervelo won the stage two team time trial and then took a solo win on a tough mountain stage in the second week, his ninth Tour stage win. Hushovd switched to the BMC Racing Team for 2012, but ended the season empty-handed after suffering from a virus. Click on the thumbnails of Thor Hushovd below to open a larger image in a new window.